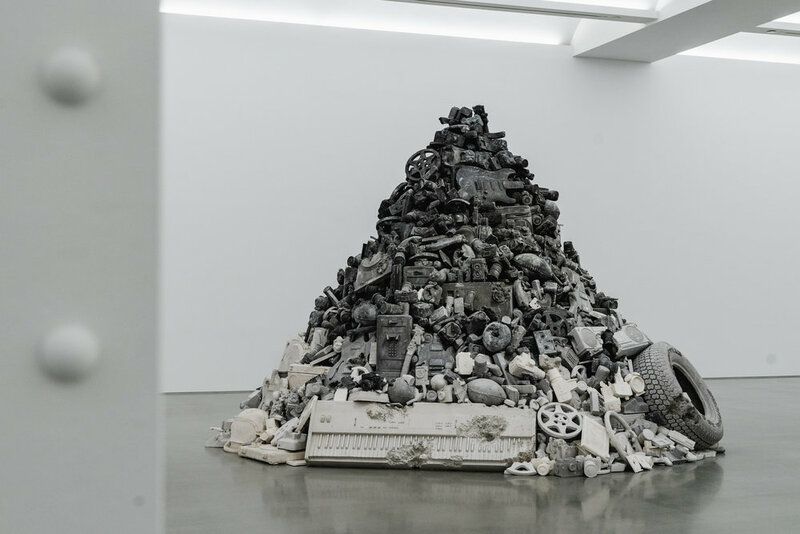 Today, Daniel Arsham is set to open his 15th gallery exhibition at New York's Galerie Perrotin since they began working together back in 2005. 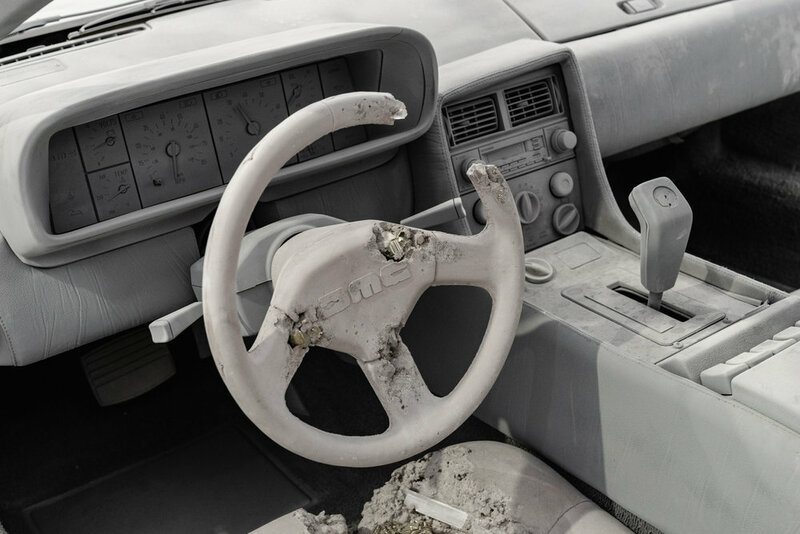 Entitled "3018," Arsham continues his vision of creating a dystopian future where our everyday objects have become eroded relics of the past. 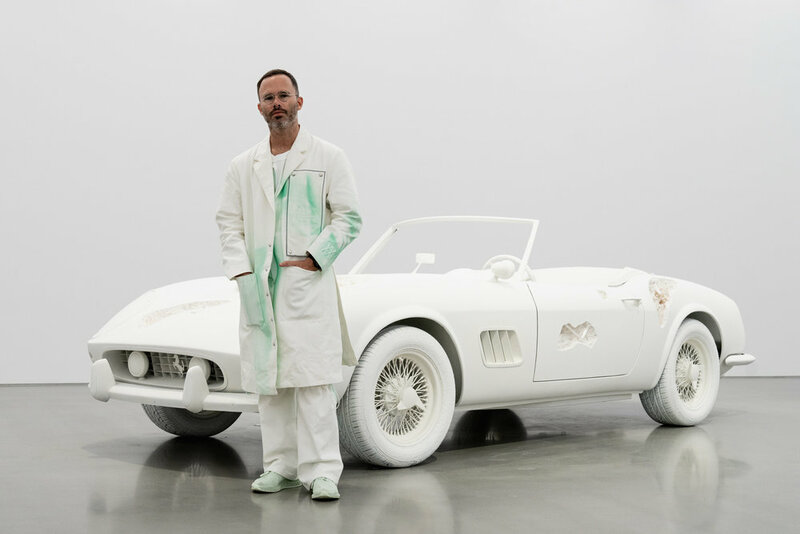 The main attraction of the gallery has to be the two full-scale cars, which reference the 1980's cult classics "Back to the Future (1981 Deloreon)" & "Ferris Bueller's Day Off (1961 Ferrari 250GT California)." 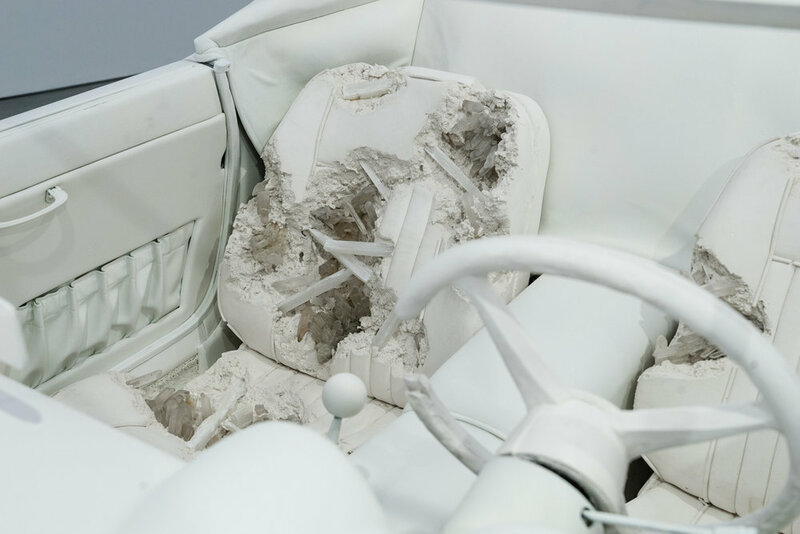 In addition to the full-scale cars, Arsham also offers up other eroded relics in the forms of popular cartoon characters, everyday objects, and other pop-culture references. 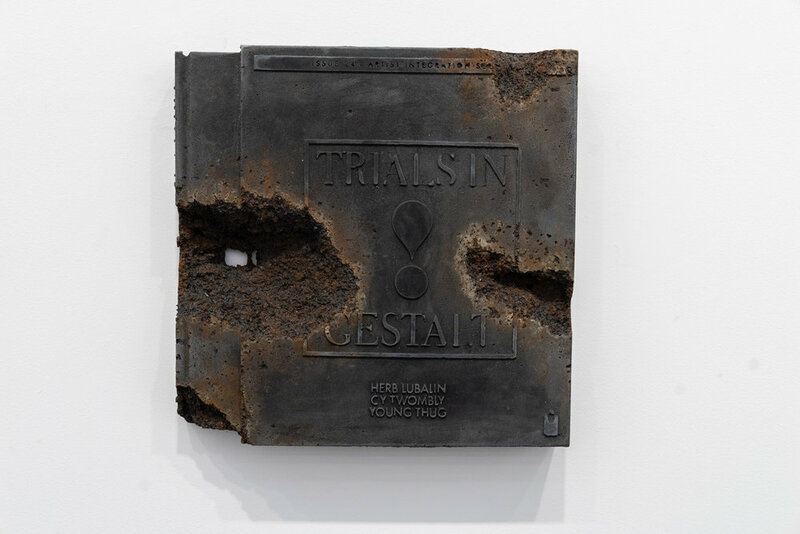 Each of Arsham's creations is formed from geological materials which mimic the actual fabrications of the objects referenced, which is perhaps the most impressive aspects of his art. The exhibition will be open from Septemeber 7th to October 21st, 2018 at Gallerie Perrotin at 130 Orchard St, in the Lower East Side, Manhattan.